Take Me To The River brings multiple generations of award-winning Memphis and Mississippi Delta musicians together, following them through the creative process of recording a historic new album that re-imagines the utopia of racial, gender and generational collaboration of Memphis in its heyday. 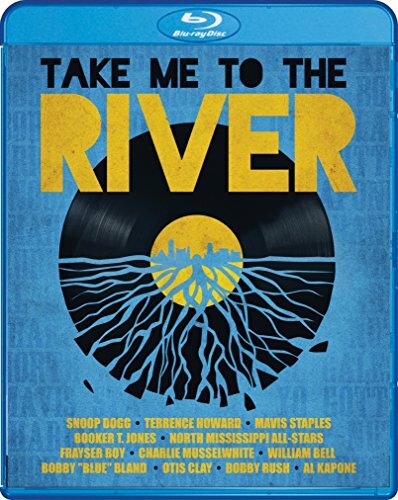 The film features a soulful ensemble that includes William Bell, Snoop Dogg, Mavis Staples, Otis Clay, Lil P-Nut, Charlie Musselwhite, Bobby "Blue" Bland, Yo Gotti, Bobby Rush, Academy Award winner Frayser Boy and The North Mississippi All-Stars. Offering viewers a unique insight into creative collaborations of America's most talented master musicians as they share the struggles, the joy, and inspiration behind America's music and its impact on the world, Take Me to the River premiered at the 2014 South by Southwest Film Festival (SXSW), where it won the 24 Beats Per Second Audience Award, and has since gone on to earn rave reviews from critics and audiences alike. Take Me to the River was created and produced by Martin Shore and Cody Dickinson; additional producers are Lawrence "Boo" Mitchell, Jerry Harrison, Dan Sameha, and Brett Leonard. The film was executive produced by John Beug, Snoop Dogg, Ted Chung, and Terrence Howard. * Interview with Al Bell on how he wrote the song "I'll Take You There"